Cherish those greetings and gifts from your guests! 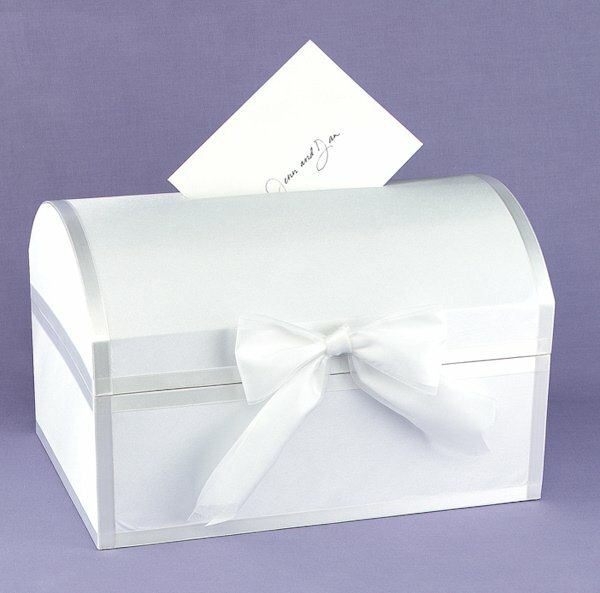 This lovely satin-covered treasure chest wedding card box will add some elegance to your gift table at the reception. The white satin on the box has a matte finish and shimmering satin ribbon forms a delightful border. 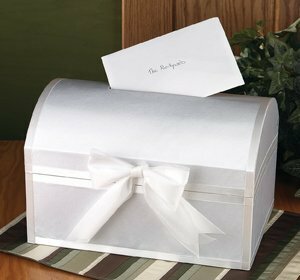 The lid is decorated with a classic white organza bow. Box measures 13-3/4" x 9-3/4" x 8-3/4" overall. It has a 6" x 3/4" slot so guests can easily deposit their cards. Is royal blue or turquoise ribbon an option? Do you have 2 designs available for this item? I'm sorry, we only have one color available for this Treasure Chest Wedding Card Box. 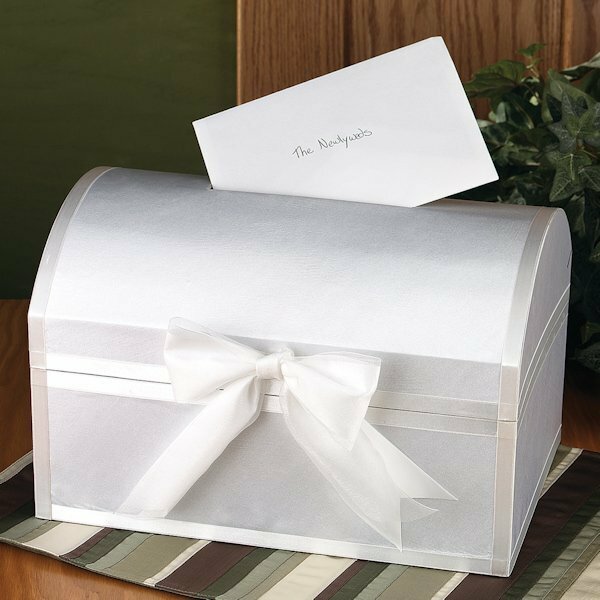 It is only available in white satin box with matte finish and shimmering satin ribbon forms a delightful border and the lid is decorated with a classic white organza bow.